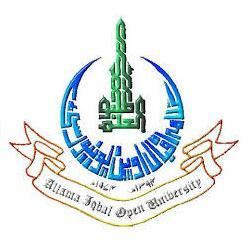 Islamabad, Allama Iqbal Open University Islamabad received the admission forms regarding matric, intermediate, CT, ATTC, PTC, Diploma in Education, Open Tech and B.Ed (old) autumn semester exams 2018 and now the exams department of AIOU has announced that the papers will be started from 09 April 2018 to 13 June 2018. The candidates will attend their papers from 02:00 pm to 05:00 pm. The candidates will check the date and time of their papers and they will appear in the exams on the given date and time. AIOU will also issue the roll number slips to the students with the detail of name of the exams centers and they will check the location of the exams centers, in which the papers will be conducted.